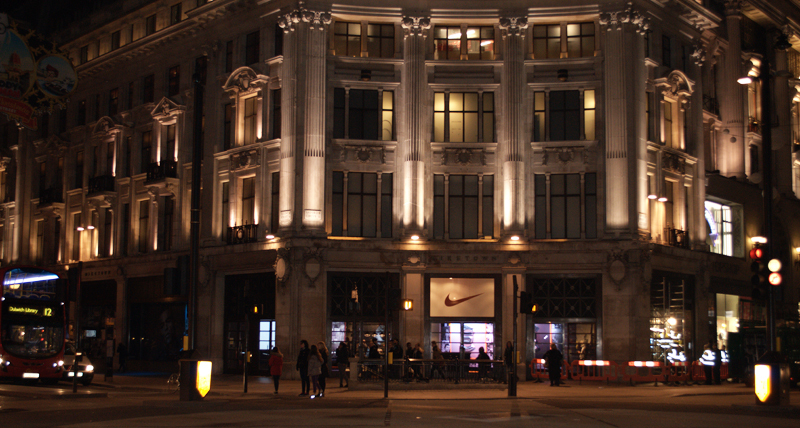 “New client Nike wasted no time in putting our professional glazing services to the test, with this large shop front glass replacement at their prestigious Niketown store, in London’s Oxford Circus“. Scope of works: To reglaze a laminated glass panel measuring approximately 4.5m x 3m on London’s busiest shopping street, Oxford Street. Christmas and New Year 2014 presented a variety of challenges to AES, with diverse weather phenomena affecting large parts of the country in a variety of different ways. High winds and torrential rain, followed by severe flooding. This tested our emergency plans and resources to the maximum over the usually more quiet, festive holiday period. Overcoming these types of challenges is of high priority, our management team and engineers pull together to ensure every call is attended promptly, and followed up in the most effective way. Safety and security paramount in everybody’s minds as always. During this years busy Christmas shopping period Niketown, situated in London’s Oxford Circus discovered that a large crack had appeared in one of their main shop front windows. After making an examination of the damage, it was agreed with the client that the safest way forward was to secure the affected panel, obscure the damage from public view and wait until early January to fit a new panel of glass. Thus avoiding the Christmas trading peak, when the risk to the public could be significantly reduced and a new panel could be safely fitted. Despite a demanding start to the New Year contending with all the ever changeable weather could throw at us, we we’re still able to comfortably accommodate this projects particular requirements. 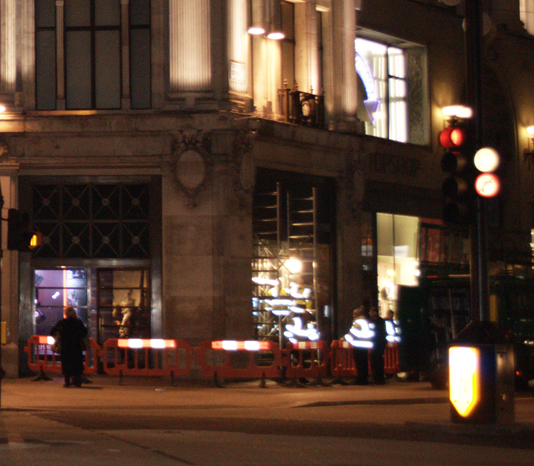 On a chilly January night whilst the store was closed to the public, a team of fourteen AES engineers converged on London’s Oxford Circus to remove the cracked glass and replace the panel, causing minimal disruption in the process. Nike join a growing list of US brands that includes American Apparel, TK Maxx (TJ Maxx in the US) and Footlocker in using the services provided by AES. With Nike stores, outlets, studios and offices throughout the UK and Ireland, our nationwide coverage 24/7 makes us an ideal partner.